Web exclusive! 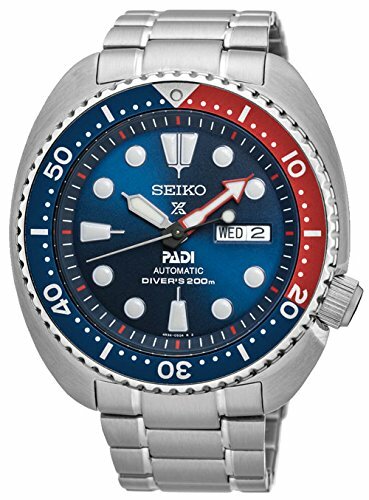 The Seiko Prospex Automatic PADI Edition watch boasts cutting-edge technological advancements without sacrificing any sophistication. This special addition watch is clearly designed for divers, from the blue dial with Lumibrite hands and markets to its anti-reflective coating and water-resistance up to 200 meters. With that being said, it still pairs great with any outfit for any above-sea level expedition.